From the centre of town to the Marlborough Sounds and from peak to paddock, Feast Marlborough is all fresh, all local and all good. Discover Marlborough in a four day food extravaganza featuring the region’s most outstanding food and wine and the talented people and stories behind it all. Feast Marlborough kicks off on Thursday May 10, with the WK Gala Feast: a veritable flight of fancy with exceptional Marlborough food and wine dished up with song, dance, comedy and visual and performing arts at the ASB Theatre Marlborough. 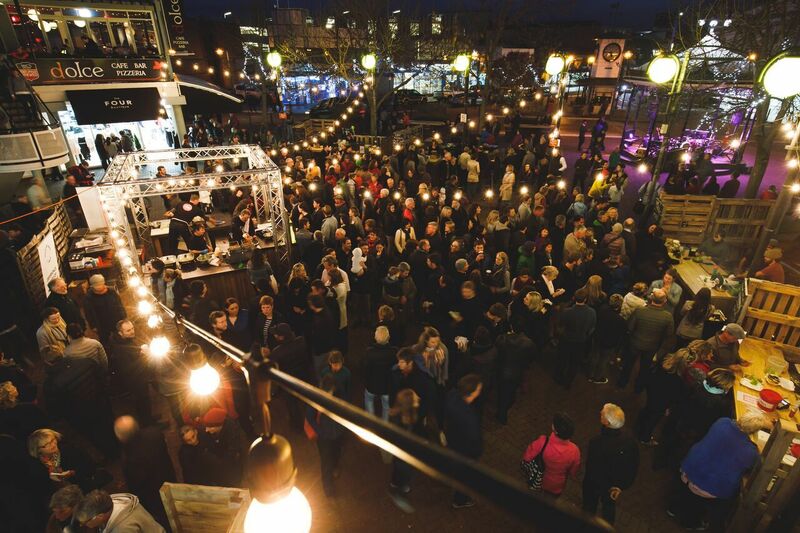 The celebration continues the following night at the Friday Night Feast street party in central Blenheim, where visitors mingle with locals and imbibe in the colourful festive atmosphere that only superb food, sterling entertainment and great people can cook up. And dig up some of the hidden gems of Marlborough’s buzzing foodie scene with Marlborough Underground: a series of exclusive culinary experiences in unique locations, held on Saturday and Sunday. Feast Marlborough organiser Chris Shaw says the event is all about celebrating the region’s culinary talent and the passionate artisans producing quality produce, sustainably grown seafood and gourmet products. Magazine. The results will be published in the July edition of the magazine. During the four days of Feast Marlborough from 10-13 May food lovers can win themselves sweet prizes with Twisted Fish - our fun, social photo sharing competition to find out who does the best take on Fish and Chips in Marlborough. Entrants simply have to choose their favourite spot from the list of participating restaurants and chippies, snap a photo of their feed and share it on Instagram and Facebook with the hashtags #twistedfish and #feastmarlborough. The photo that gets the most love wins!